1793. Unpaginated. Full bound brown leather. Front board is almost detached. Finger-marked pages with moderate tanning and foxing to endpapers and page edges. Some dog-eared corners. Heavy water staining, damp spotting and dirt to rear pages, with former owner's name on front paste-down in ink. Front hinge has noticeably separated. Heavy tanning along spine and board edges. Noticeable rub wear to surfaces and edges with crushing to spine ends and bumps to scuffed corners. Boards are bowed. 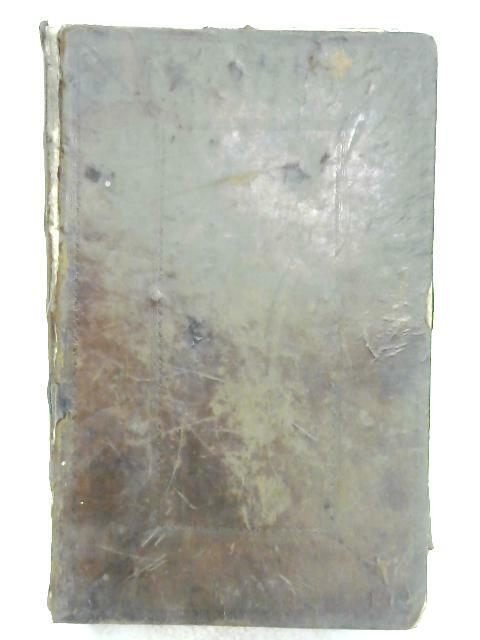 Mottled mould on reverse.